Product prices and availability are accurate as of 2019-04-18 00:57:24 UTC and are subject to change. Any price and availability information displayed on http://www.amazon.com/ at the time of purchase will apply to the purchase of this product. 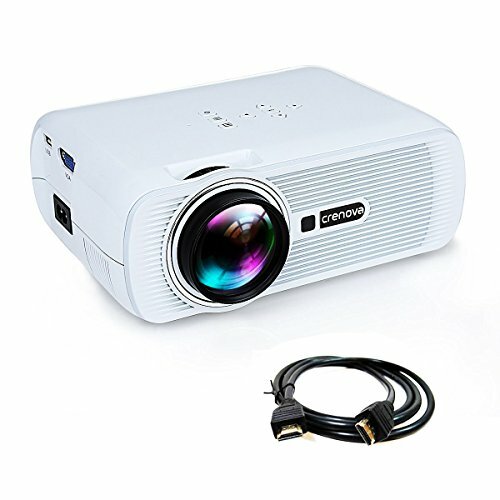 *For LCD projectors, the most important part is the LED light inside. 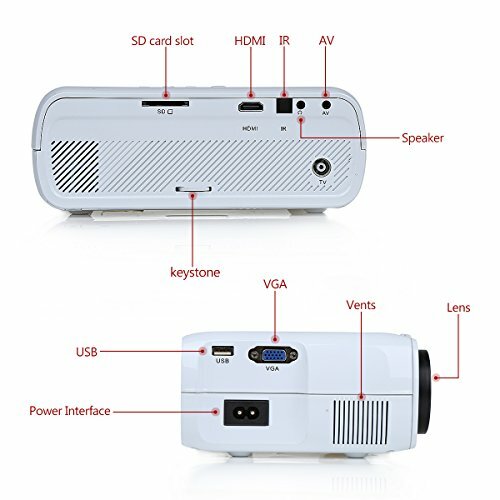 *This XPE460 mini projector adopted the lasted upgraded LED technology, provides more brightness than ordinary LED projector with 1000 Lumens. In dark room you will enjoy sharp image. *It supports projection size from 37 to 130 inches, and the best projection distance is about 2m with projection size 80 inches. *You may enjoy large screen while protecting your eyes. *We can adjust the image manually with this function, picture proportion is not distortion after adjustment. *In case the mini projector is placed in a tilt level, the picture quality will not be affected. *1. 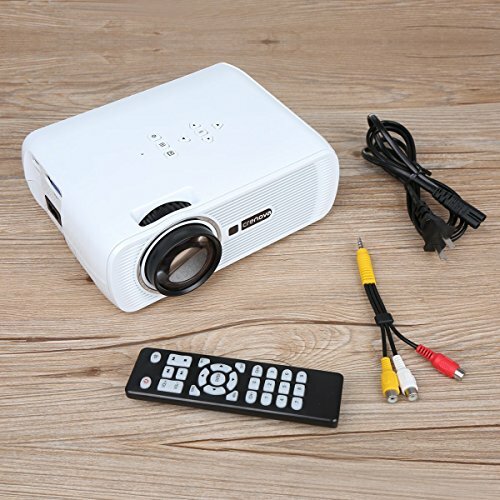 To connect the mini projector with iPad or smartphone, you will need a wireless HDMI adapter. *2. 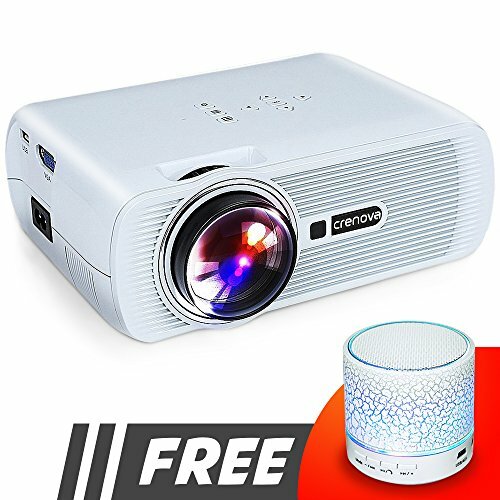 To connect the mini projector with PC/Laptop, please adjust the PC/laptop display resolution to 800*600 or 1024*768, which can provide the best clarity. And choose the?Multiple display?as?Duplicate these displays. *3. Please note that it only provides clear image in dark room.